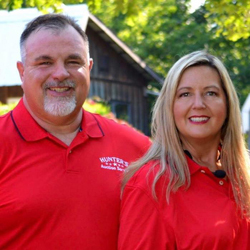 Hunter’s Auction Service was founded in 2003 by Shannon and Ray Hunter. Our Auction Family is working to serve your auction needs. We provide full service, auction services to a wide variety of clients in Arkansas. Our friendly staff is dedicated to making your auction experience as a buyer or seller, as pleasant, efficient, and profitable as possible. Our staff has a wide range of experience in Real Estate, Antiques, Farm equipment, Tools, businesses Liquidation and estates at Public Auction. We remain committed to the Auction method of sale as the fairest, fastest, and most efficient method for both buyer and seller. Contact us to show you how the Auction Method and Our Company can work for you!